Mt. Hebron Methodist, located in West Columbia, has had four churches over the years. The original house of worship stood near this location at a place called Half Way Ground. 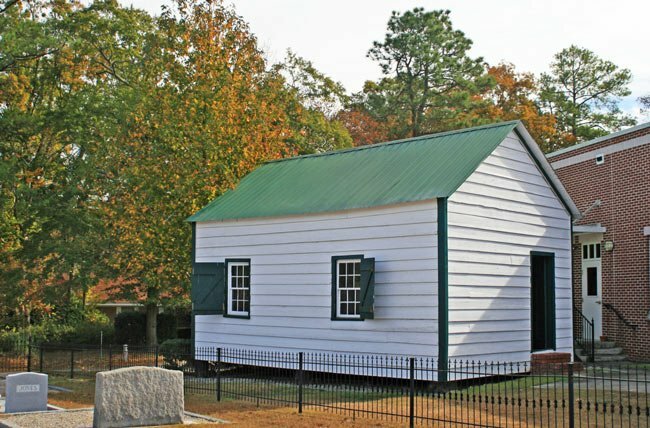 The second house of worship was erected here in 1837 on land donated by John and Elizabeth Roof. The present sanctuary, which dates to 1963, is the fourth to house the congregation and the third to occupy this site. The simple frame building shown above was added to Mt. Hebron’s grounds in 1862, during the Civil War. Its purpose was to serve as a meeting hall for the local chapter of the Sons of Temperance, a national organization established to oppose alcohol consumption. The structure was built by Saludaville Division No. 47 of the Sons of Temperance, which formed in late 1858. In 1871 the group changed its name to Mt. Hebron Sons of Temperance. The chapter disbanded with the establishment of the State Dispensary in 1893. The State Dispensary, a system created in 1893 by Governor Ben Tillman, mandated that liquor sold in South Carolina be bottled and distributed within the state. This system was conceived by Tillman as a means to generate revenue from liquor sales during a time when Prohibition was gaining popularity across the South and the nation as a whole. The State Dispensary operated until 1907, though some counties continued to use it until 1916. That year, the South Carolina General Assembly voted to prohibit the sale of alcohol in South Carolina period. The meeting hall for the Sons of Temperance remained in use by Mt. Hebron Methodist Church as an education building. In 1940s the men’s Bible study class renovated the building. It was again restored in 1979. The building continues to be used as a classroom and has also served local Boy Scouts. Today the building sits behind the church and adjacent to the graveyard. Local tradition and contemporary records indicate that the Mount Hebron Temperance Hall was constructed in 1862 as a meeting room for members of the local temperance group. 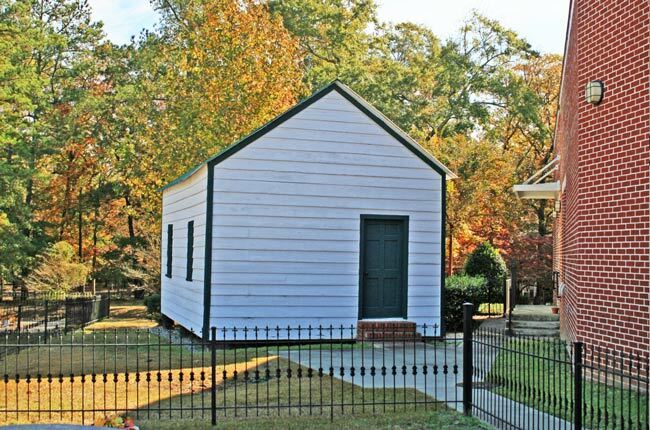 Located in West Columbia, it is the only identified building constructed specifically for use as a temperance meeting hall remaining in Lexington County. It is associated with the long and generally unsuccessful state and national temperance movement of the nineteenth century. Interest in temperance in South Carolina increased as the nineteenth century progressed. In 1829 the first statewide temperance society was organized, and by 1847 the South Carolina division of the national organization known as the Sons of Temperance had been chartered. In South Carolina local societies were formed as subdivisions of the state organization. One such group formed in the neighborhood of the Mount Hebron Methodist Church. A charter was issued to the Saludaville Division No. 47 by the national division in December 1858. Although many of the members of the temperance society were also members of Mount Hebron Methodist Church, the division did not meet in the church building. The hall is a small, one-story rectangular structure sheathed in weatherboard, with a gabled cypress shingle roof. It stands in the churchyard of the Mount Hebron United Methodist Church. The interior has a single room with wide board flooring and flushboard walls and ceiling. There is no plumbing or wiring. Eventually the church has taken over the temperance hall for use as a Sunday School building and Boy Scout Hut. The building was restored in 1979.